On Monday, January 14th, Community Board 2 will be hosting their ULURP public hearing to report from the various committees on their review of the Environmental Assessment Statement for the Elizabeth Street Garden’s proposed Haven Green senior affordable housing project. The public is invited to give testimony. We need YOU to show up and support the garden! Mark your calendars! 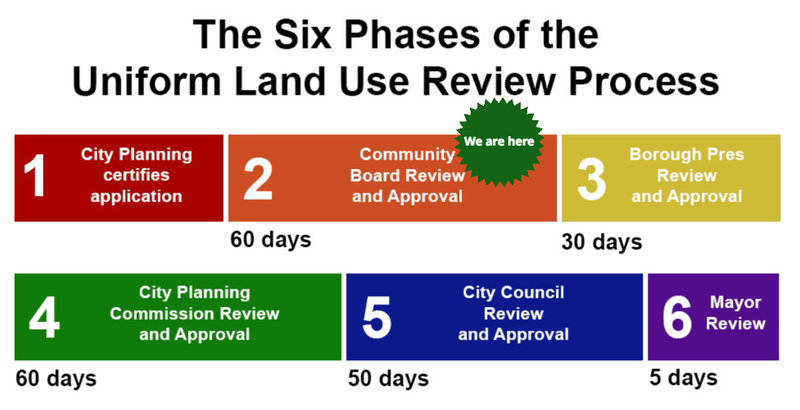 When: Monday, Jan. 14th, 6:30 p.m.
On November 13th, the City began the Uniform Land Use Review Process (ULURP) for the plans to destroy the garden. For more info on the ULURP process please click HERE or HERE.